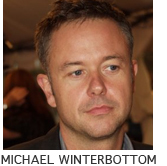 Director Michael Winterbottom says that while he sometimes felt the temptations of creating drama in making "The Road to Guantánamo," his newest film, "I didn't really want to create a sort of dramatic shape to it." Salon film critic Andrew O'Hehir recently sat down to talk to Winterbottom about the making of this challenging movie, both its controversial theme and the film's mix of documentary interviews and re-created scenes. It's important, Winterbottom stresses, not to lose sight of the fact that while for most of the world Guantánamo has become a symbol of the dark side of American power, it's much more than a symbol for the people imprisoned there: "It's important obviously to think about the wider political context, the meanings it gives to different people, but the key thing to remember is that there are 460 people still there, and they shouldn't be there." To listen to the podcast, add Conversations to your iTunes subscription list (it's free) by clicking here.